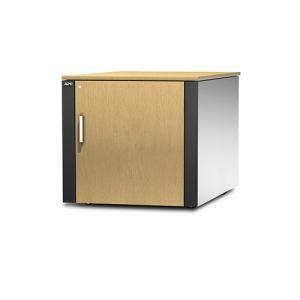 Netshelter CX mini is specifically designed to house a complete small-office IT installation comprised of one or two servers, network hardware and peripheral devices. It combines extreme noise reduction and moderate thermal capacity with exceptional reliability and an all-inclusive, Plug-and-Play specification. The resulting EIA rack is 600 mm/23.6" deep. The cable port has a capacity of up to 400 cables and is situated perfectly for ground or under-floor cabling. Provides customers with easy accessibility to equipment and allows equipment to be installed without powering off. Server cases do not require additional tools to mount into APC NetShelter enclosure, which allows the users to quickly and easily mount units in the rear of the enclosure. Protect IT equipment from unwanted access. The enclosure blends discretely into almost any office environment. Superior noise reduction of installed IT equipment allowing the enclosure to be placed in a quiet environment.